What is Early Childhood Interceptive Treatment Therapy? 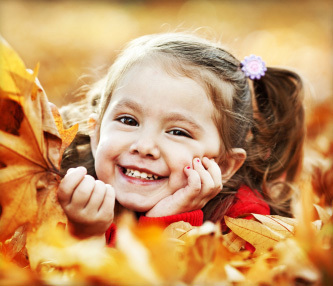 At as young as 6 or 7 years old, your child may have dental issues that we can address immediately. Early Childhood Interceptive Treatment Therapy is the practice of resolving young children’s dental problems in their earliest stage, when they are the easiest to treat. At McMillen Orthodontics, we are able to correct some misalignment and jaw problems early in your child’s life so that they do not grow more severe and require surgical measures later on. Doctors agree that early in life, when your child’s bones are still growing, is the best time to evaluate your child. Your dentist will be able to see any potential issues and begin pre-emptive measures that will keep dental problems from developing. With Childhood Interceptive Treatment Therapy, Dr. McMillen is able to improve the alignment of the teeth that have been affected by thumb or finger sucking. While your child is young and their teeth are still growing, we can sometimes help their permanent teeth grow into better positions than they would have without orthodontic guidance. In many cases, we are able to find ways to create space for all of your child’s teeth while they are still growing in, before crowding becomes a major issue. Crossbites or protruding teeth are conditions that are also important to treat early, because they are difficult to treat once all of the teeth have erupted. Why Choose Childhood Interceptive Treatment Therapy? With Childhood Interceptive Treatment Therapy, Dr. McMillen can correct many basic dental issues that your children have today that would take more extensive work to correct in the future. He can prevent crowding from ever occurring, and help your child’s teeth stay straighter than they would have without early orthodontic intervention. It is much better to bring your child in early for an assessment with Dr. McMillen than to put it off until later. Let us protect your child’s health. 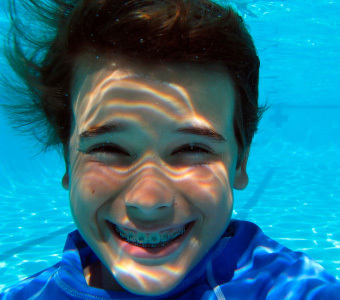 Schedule an appointment at McMillen Orthodontics so that we can see what your child needs.